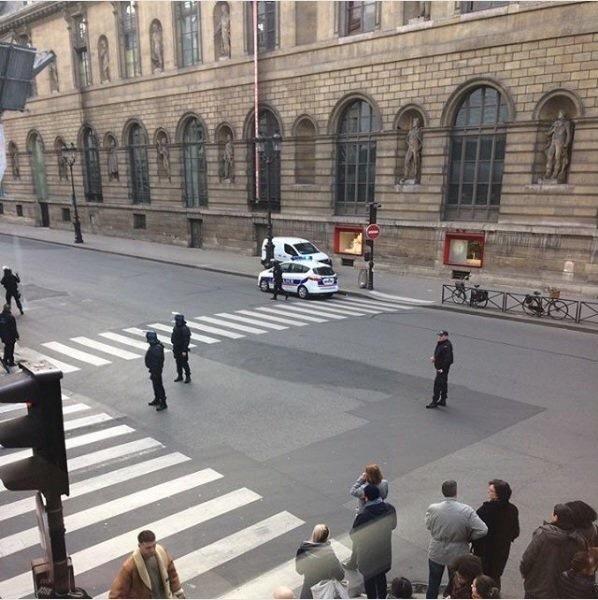 A soldier opened fire on a man armed with a machete in an underground mall close to the world-famous Louvre museum in Paris, police said Friday. Michel Cadot, the head of the French capital’s police force, said the man shouted “Allahu akbar” — Arabic for “God is great” — during the incident. A confrontation ensued around 10:00 a.m local time (04:00 ET) after a four-man patrol of soldiers told the man he could not proceed into the mall while carrying two backpacks, officials said. “That’s when he got the knife out and that’s when he tried to stab the soldier,” police union official Yves Lefebvre told the Associated Press. The man rushed at the soldiers, who attempted to fight him off, before one opened fire on him. The Carrousel du Louvre mall, where the incident took place, runs underneath and has an entrance to the museum, which is home to works of art including the “Mona Lisa”. “We are dealing with an attack from an individual who was clearly aggressive and represented a direct threat, and whose comments lead us to believe that he wished to carry out a terrorist incident,” Cadot said. The soldier fired five shots and the suspect was seriously wounded in the incident, according to Cadot. He said that no explosives had been found in the man’s baggage. He was found to have been carrying two machetes. A spokesman for the military force that patrols key sites in Paris said the one soldier who was slightly injured by the attacker was not the one who opened fire. 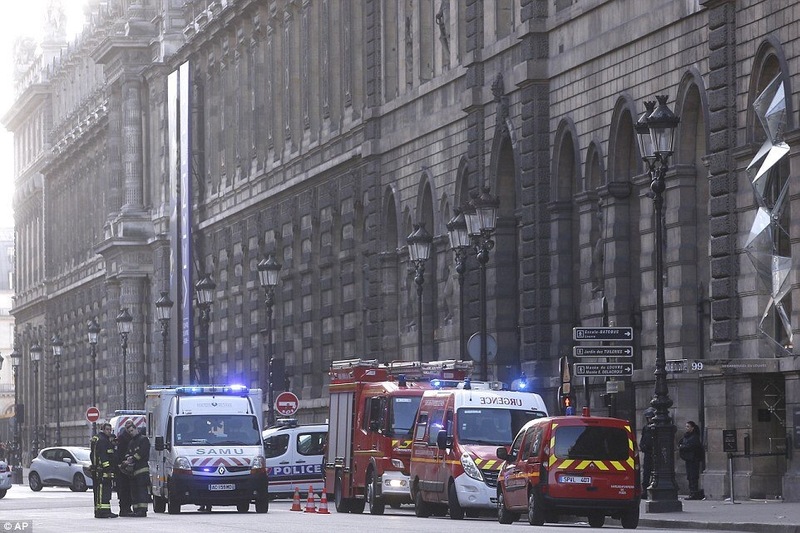 France’s Interior Ministry said that the man’s identity or nationality were not immediately known. It added that he was alive when taken from the scene. Anti-terrorism prosecutors opened an investigation into the incident. French security forces hold people inside a Paris mall, after a soldier shot a man armed with a knife. People in the area at the time of the incident described the scene as events unfolded. Hood did not see the attacker. Police said that a second person who was behaving suspiciously had been arrested. Officials said the individual did not appear to be connected to the attack, but that prosecutors would determine if they were involved. 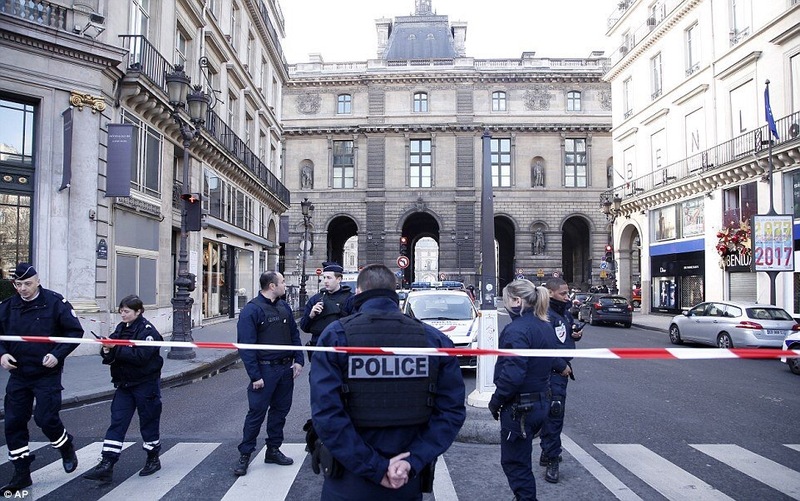 Interior Ministry spokesman Pierre-Henry Brandet told The Associated Press that around 1,000 people were held inside secure areas of the museum during the incident for their own safety. Authorities said they would be released in small groups once they had been vetted. Staff returned to the shops in the mall by around 12:30 p.m. local time (6:30 a.m. ET) and roadblocks were cleared from the surrounding area. 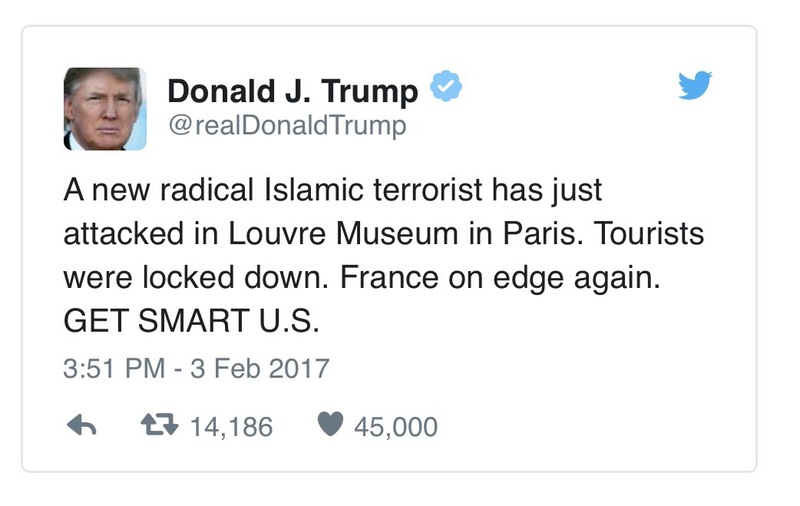 U.S. President Donald Trump weighed in on the attack on his personal Twitter account early Friday. France has been under a state of emergency since the 2015 terrorist attacks in Paris that killed 130 people. Soldiers on patrol are part of security measures that have beefed-up in the wake of attacks in the capital and in Nice. The museum is one of central Paris’ biggest tourist attractions and is one of the most-visited museums in the world.